Early this year we updated our Cape Wrath Trail route description to reflect that Carnach Bridge near Sourlies had been condemned as unsafe to cross and removed. The river is frequently impossible to cross in spate conditions. Camusory Estate has been working to replace the bridge and had hoped to have the new bridge in place by the end of 2018. However there have been several delays in the planning process and constructing the bridge on site requires a helicopter and suitable weather conditions. As a result, the bridge will now be built over the winter months and installed in late spring/early summer 2019. 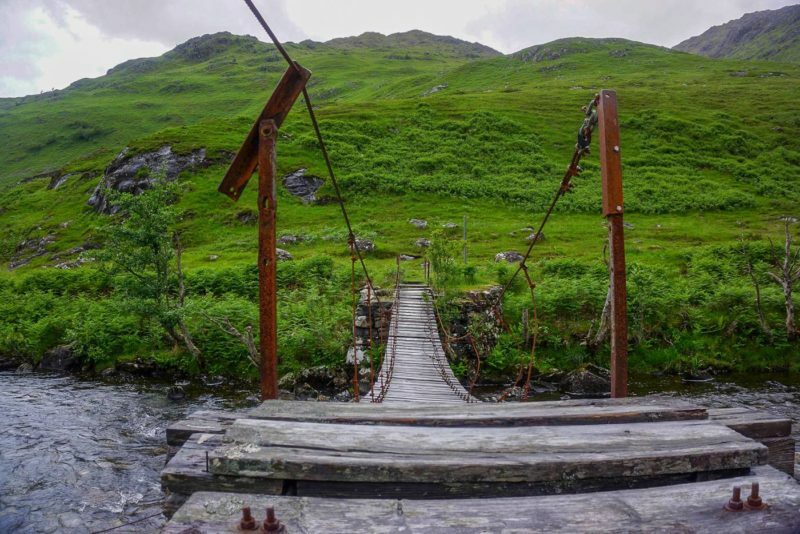 The Mountain Bothies Association, Scottish Mountaineering Trust, Scottish Rights of Way & Access Society and Mountaineering Scotland have offered support to the rebuilding process. Walkers intending to complete the Cape Wrath Trail should take account of this in their plans. We will publish updates on Walkhighlands and on the relevant A’Chuil to Barrisdale section of the Cape Wrath Trail.